Pragmatic. An office machine or a chunk of plastic? 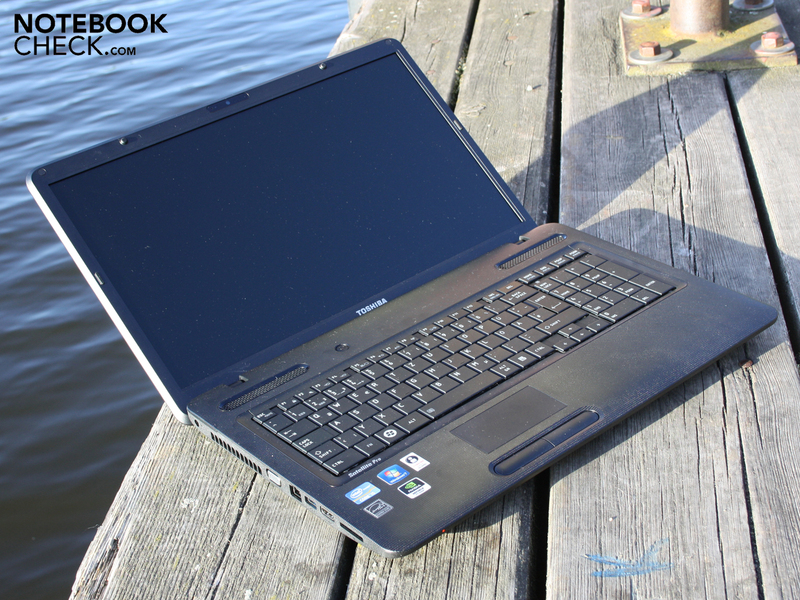 The Satellite Pro fuses consumer graphics with Core i5 power and an 8 GB RAM. A matt, manageable WXGA++ screen tops it off. Is it the perfect combination of entertainment and work? 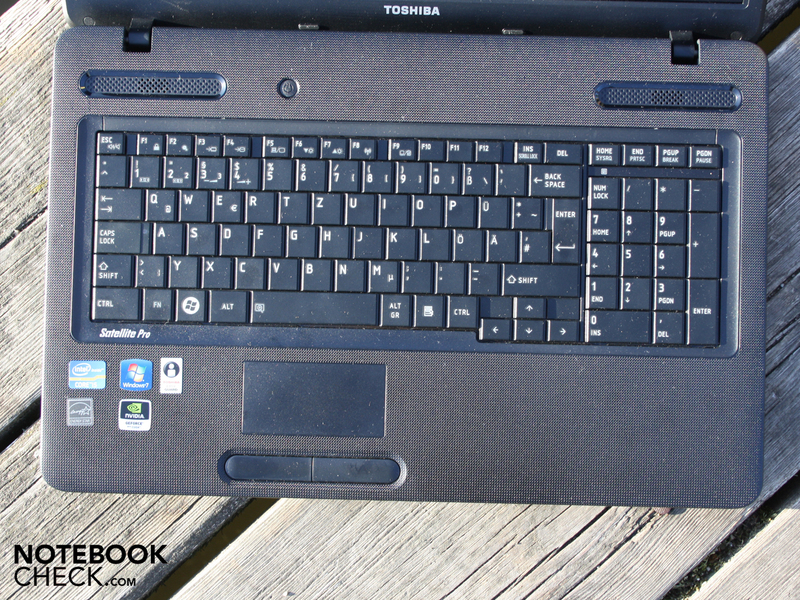 Toshiba Satellite Pro L770-116: A mobile typewriter for the demanding consumer? 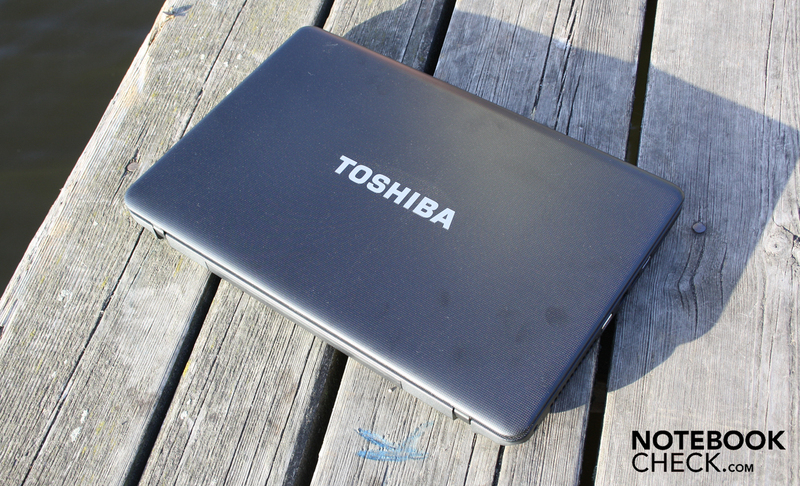 Satellite Pros are Toshiba's office laptops for diligent consumers and company workers. 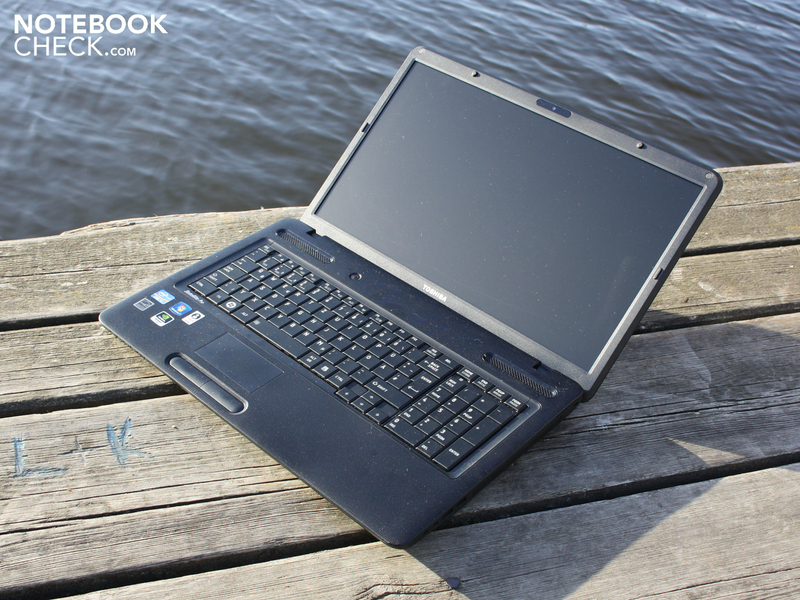 A 17.3 inch Satellite Pro L770-116 lies on the desk, which can take up the fight with powerful consumer units. The Core i5-2410M (2x 2.30GHz), a 8192 MB RAM, a 7200 rpm hard disk and NVIDIA GeForce GT 525M are to ensure that. The 17.3 incher certainly isn't aiming at demanding business customers with its manageable WXGA++ resolution (1600x900). It lacks the quality workmanship and many interfaces have been omitted in this case. Will the bonus points nevertheless add up to an affordable office companion? What justifies the price of 780 euros? 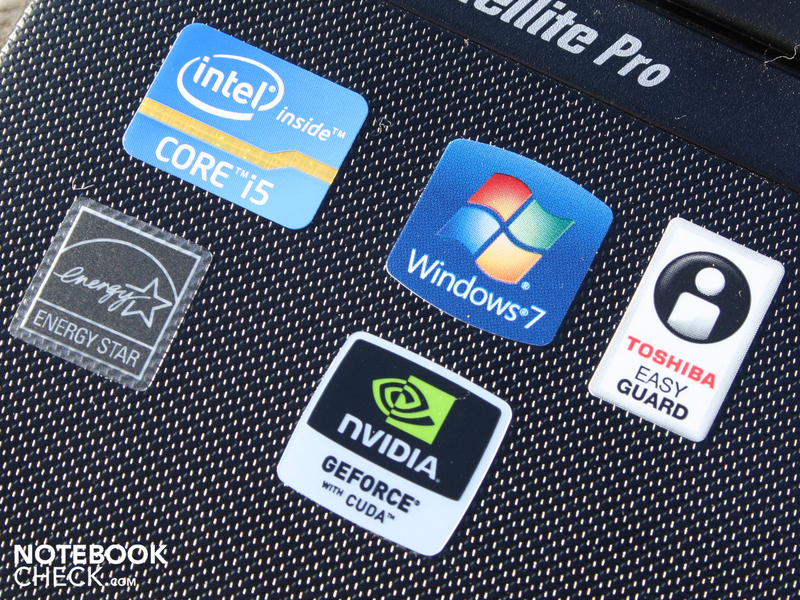 Read about all pros and cons of the Satellite Pro L770-116 in our detailed review. 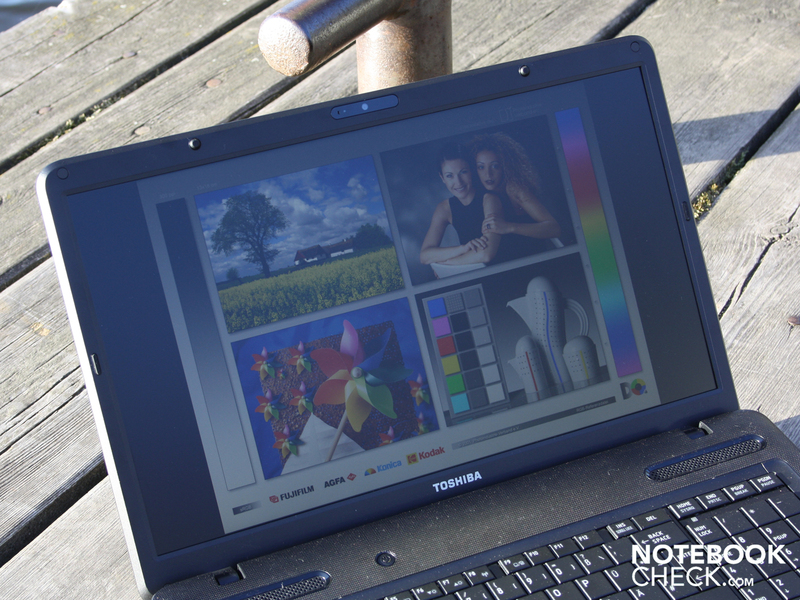 The Toshiba Satellite Pro L770-116 radiates the stale charm of a 90's notebook in terms of looks. Sure, the 17.3 incher isn't quite as thick and heavy as they were (2752 grams). The work surface's matt soberness is only loosened by the surface texture on the lid and keyboard area. The omission of emblazoning ornaments adds a bit of solitude on the desk. However, it also ensures distraction-free work place. The patterned plastic surfaces are resistant against fingerprints or scratches. The lid has an unusually good grip thanks to the texture. The case has an overall sufficient pressure resistance. The wrist-rest doesn't yield under pressure. The optical drive is a weak point, though. 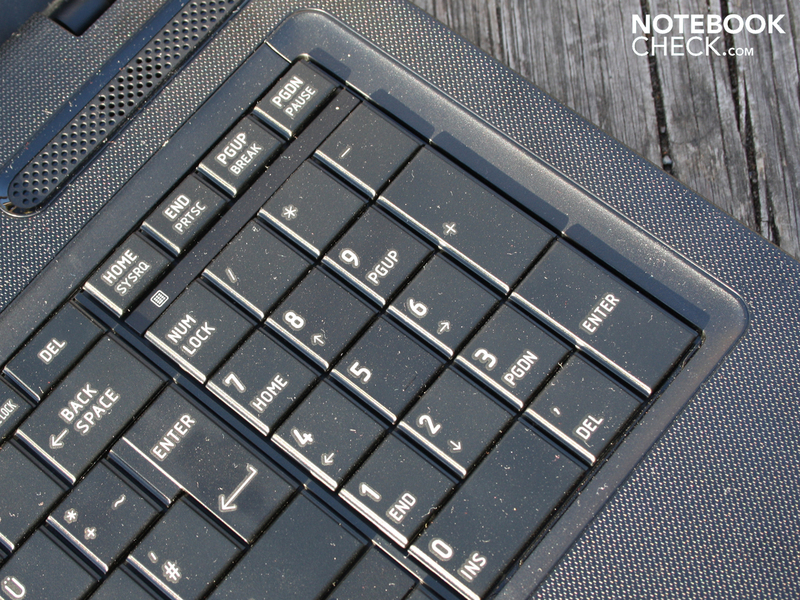 The (number pad) area above and below the DVD burner can be dented. This device has deteriorated in comparison to the predecessor, Satellite Pro L670, here. Two, overstrained looking hinges keep the lid in position. There is no latch. The heavy display teeters when it's shaken, which is a problem during rough car rides. The maximum opening angle of about 140 degrees is sufficient for use on the lap. The lid's surface yields over a large area, however only by a few millimeters. We can't say that the interfaces provide diversity. Despite USB 3.0 on the left, eSATA is no longer installed like it was in the predecessor, L670. The interfaces are concentrated on the left. 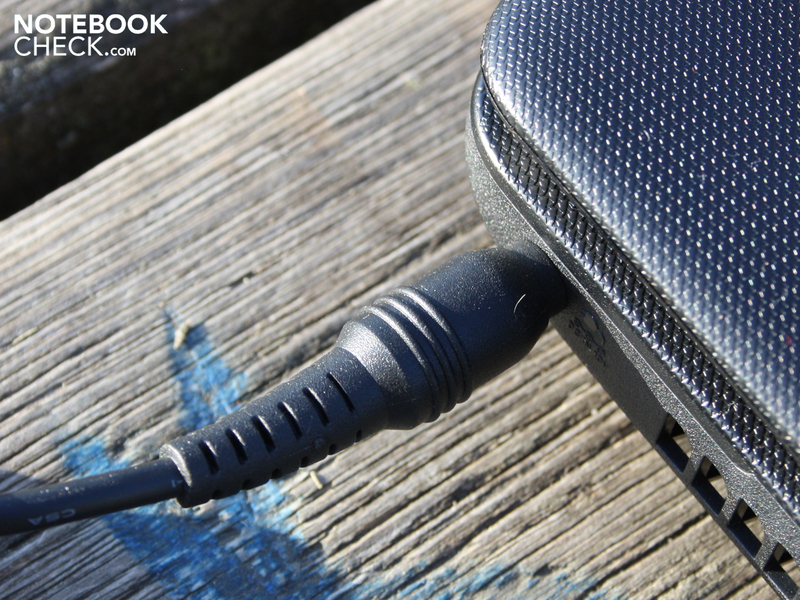 Two USB ports for peripherals besides the audio sockets are on the case's right. Undemanding users won't miss other interfaces. However, if you look enviously at colleagues with the HP ProBook in its dock, you'll know which core qualities belong to a well-designed office laptop. The interface's positioning on the left and right front area is annoying. If you connect HDMI, USB 3.0 (left) and two USB devices besides loudspeakers (right), you'll have cluttered your desk with a cable tree on both sides. Now, if there is even no place to put a mouse, the optical discomfort will turn into a practical problem. Regrettably, there are no connections at the rear like in the good old times of the laptop world. The sunken hinges prevent this. The wireless and network connections are up to date. The Realtek PCIe GBE Family Controller (1000 MBit/s), the Atheros AR9002WB-1NG WLAN card and the Bluetooth module (3.0 +HS) are all capable of the fastest transmission. A number of installed tools are found under the name, Toshiba EasyGuard, that are to make handling data and PC more secure. Among them, for example, antivirus software (McAfee, extra charge), Password Utilities, a bios with Computrace (theft protection, extra charge), a PC diagnostics tool and a backup tool. And finally, there is also the compulsory Kensington cable slot. 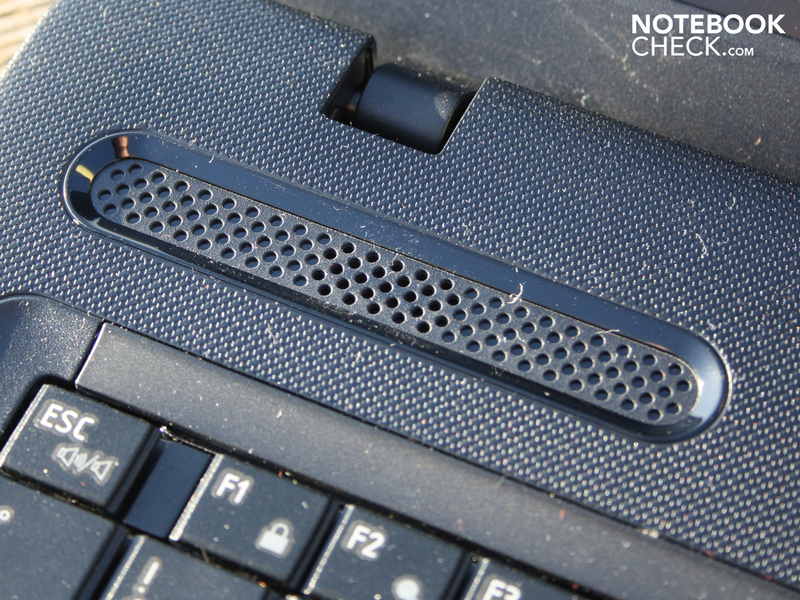 A 3D sensor for the hard disk (protection in case of vibrations), like in the Tecra and Portégé, isn't installed. Recovery DVDs for Windows 7 Professional (64bit) has to be created via Recovery Media Creator. Only a small manual and a quick start guide are in the scope of delivery. In addition to various Toshiba tools (e.g. WebCamera, Face Recognition, HWSetup, Recovery Media Creator, Media Controller, etc.) there are also programs like Nero Multimedia Suite 10 Essential installed. The user has find out if there's something useful among the vast amount of tools and programs. Commercial bundles, like "Photo Service" (myphotobook) sooner belong in the "delete" category. We found the WiFi radar and HWSetup remarkable. It allows activating/deactivating devices or performance qualities easily. 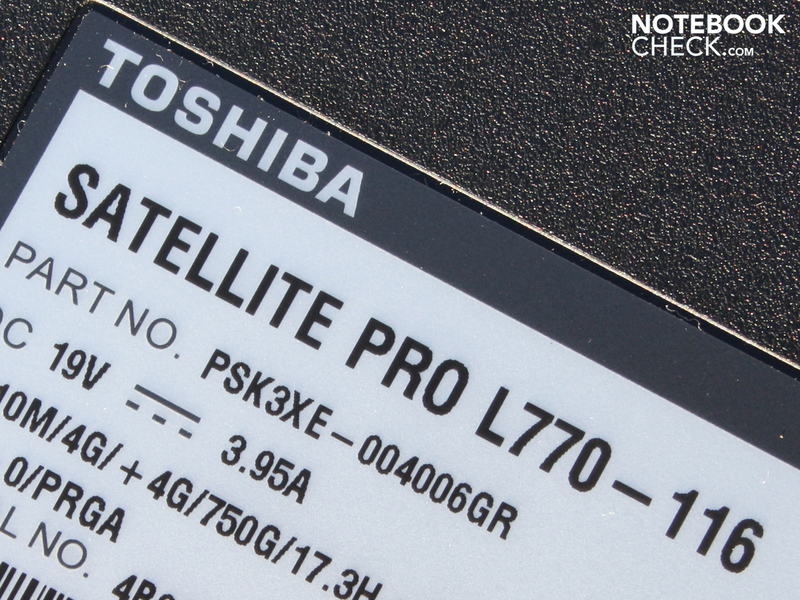 The Satellite Pro L770 is subject to only a one year warranty. 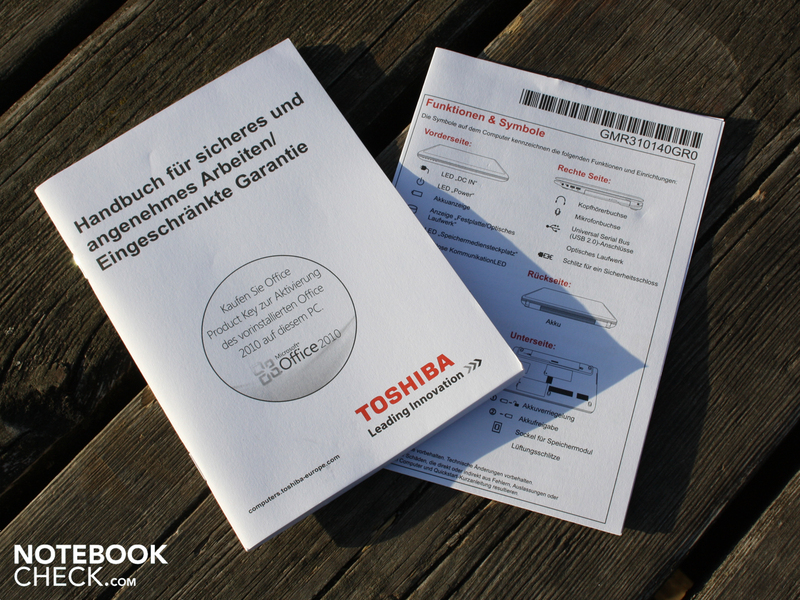 It includes a pickup service after registering via the Toshiba hotline in Germany and Austria. The manufacturer also offers a warranty extension of up to 3 or 4 years (64, respectively 109 euros). Scope of service: spare parts and labor. 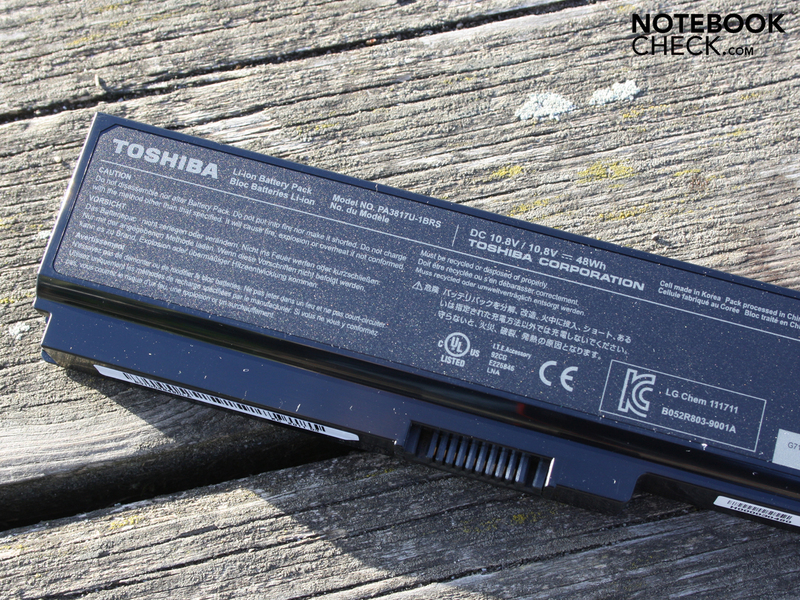 Online product info: Would you like to receive news from Toshiba? The keys in chocolate style are placed very close to each other and have beveled edges. 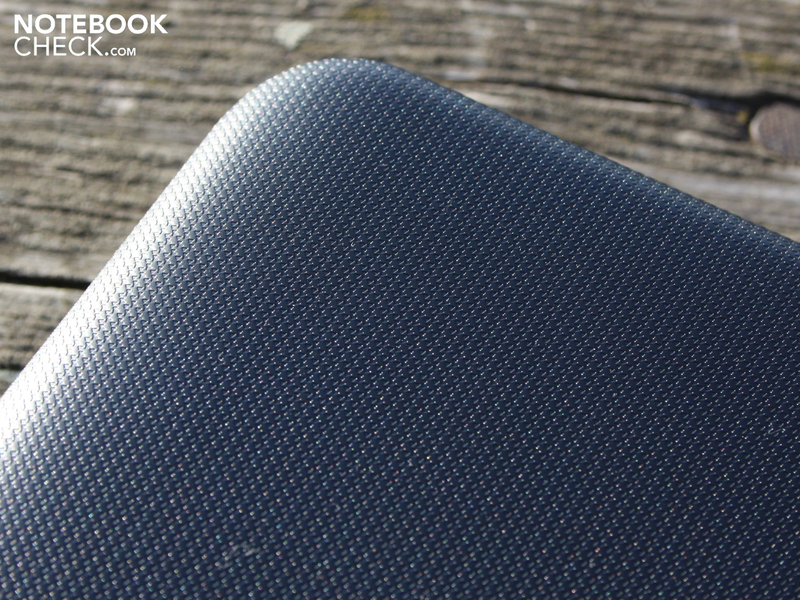 Unfortunately, we didn't notice a concave curve anymore (as in the Satellite Pro L670). Thus, typing is a bit inaccurate despite the clear pressure point and long key drop. In return, the manufacturer has improved the weak point of the predecessor, L670. The keyboard no longer coils and now fits tight all over. Consequently, the keyboard has a firm stroke. An exception for the firm stroke is the number pad that slightly coils. The numeric key field facilitates inputting numbers. The clear spatial separation of both keyboards by a crosspiece seems to be praiseworthy. 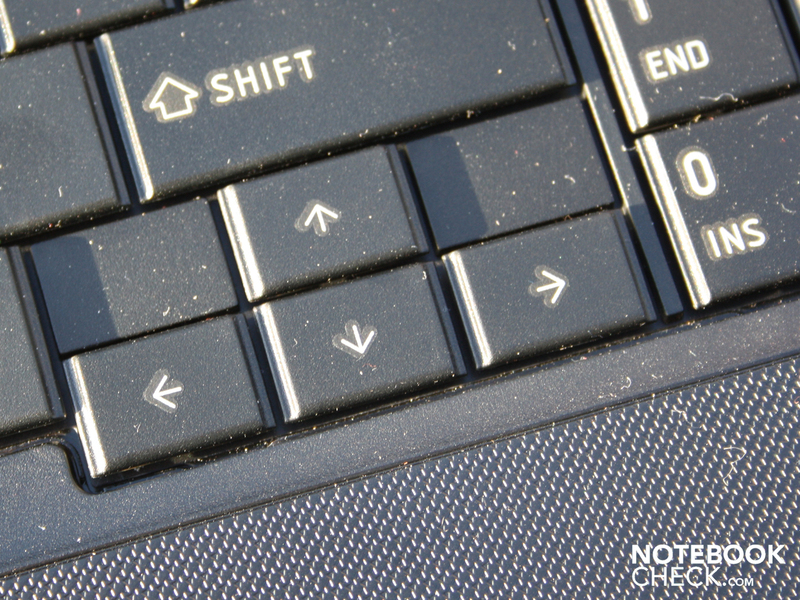 The manufacturer has again thought about using separated arrow keys. Incorrect inputs hardly stand a chance even in hectic situations due to the small gap to the shift key. 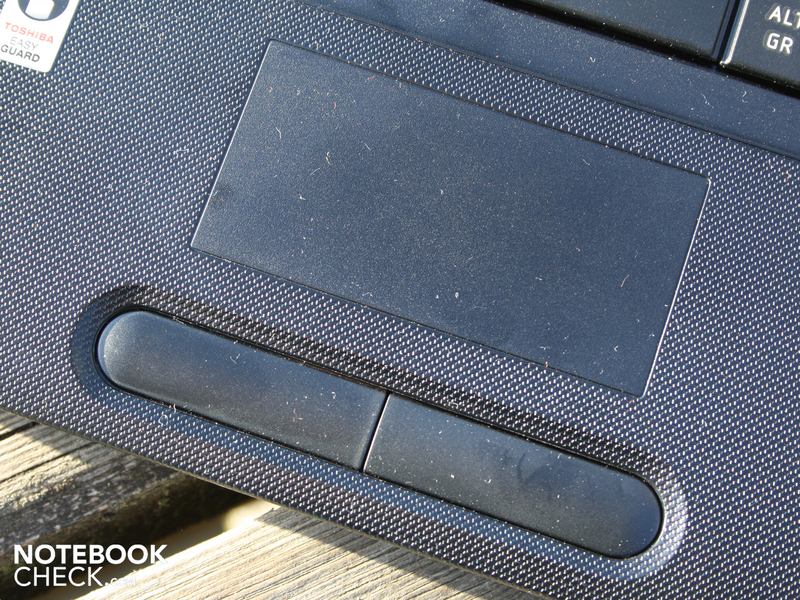 The mouse replacement (multi-touchpad, Synaptics V7.2) is a part of the wrist-rest. The pad is rather small (9 cm diameter), but at least it's sensitive up to its edges. 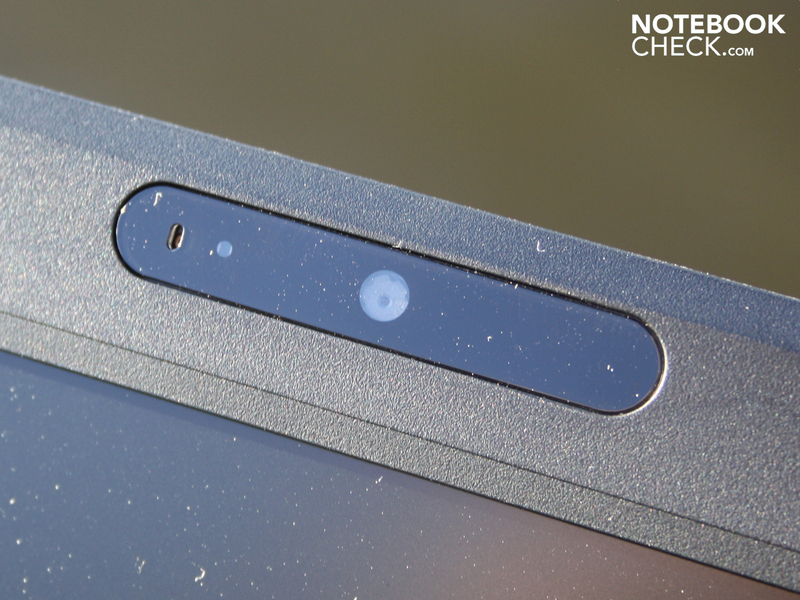 The surface has a vertical and horizontal scroll bar – although it's not visibly marked. The round and upwardly curved keys have a high pressure point and attract attention with a loud, muffled click noise. This clattery feedback is soon irritating and lets you look for an external mouse. The cavity in which the two keys were installed didn't prove to be annoying. Toshiba builds in a 17.3 inch WXGA++ display (LG-Philips: LP173WD1-TLP5) with a native resolution of 1600x900 pixels. The 16:9 screen has obviously been AR coated – there are no reflections. The contrast of 152:1 is very low and can be seen in the pale colors. The assessed black value is 1.47 cd/m2. The widescreen doesn't display dark sectors in deep black, but with a clear gray cast. WXGA++ is an office suitable resolution for a 17 incher that has become the standard size here. The previously common and popular 4:3 format in the business field couldn't establish itself because the screens' manufacturing would have required standardization. Although the CPU and HDD would be fast enough, the L770 isn't suitable for professional picture editors. 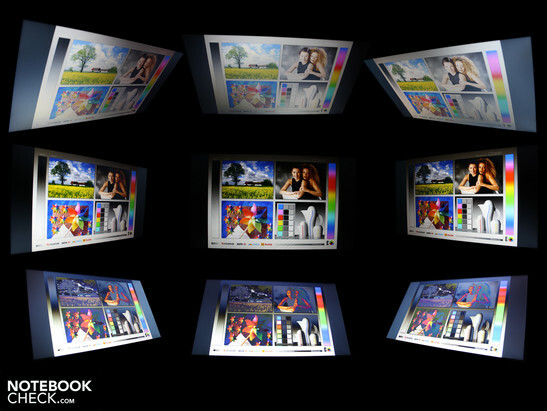 The screen's color spectrum is narrow and clearly fails sRGB (t) and AdobeRGB (t). 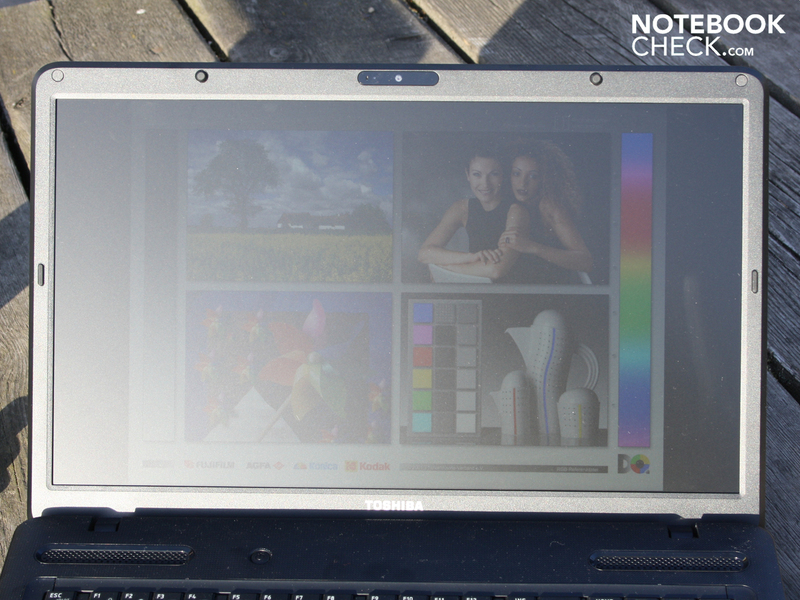 The screen distributes the brightness evenly (87%). We measure a maximum rate of 228 cd/m2 in the upper left. The brightness decreases to 201 cd/m2 in the lower left. This difference isn't visible for the eye. The luminosity is absolutely sufficient for office and indoor use. 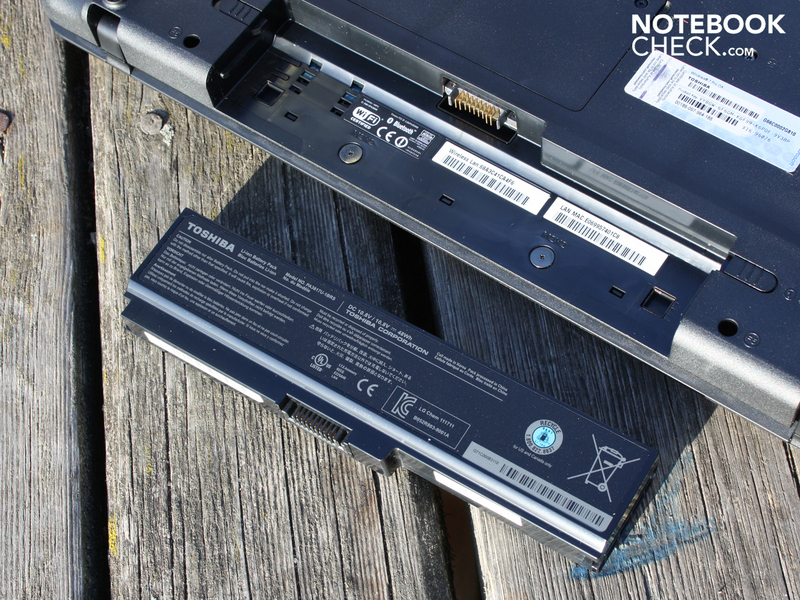 The L770 has problems in bright sunlight. The 17 incher can occasionally be used in daylight due to its good average brightness of 215 cd/m2. However, we notice that the brightness is still not enough in direct sunlight. Moreover, the viewing angles dramatically decrease in this scenario. Thus, the L770 isn't as suitable for an extensive use in the park or café. However, the matt screen is a good start. The L770 shows restrictions when it comes to viewing angles. The colors fade with the slightest deviation (about 10 degrees) when the eyes swerve up or down (vertically). Our view can deviate up to 45 degrees right or left from the center (horizontally) before the colors clearly invert. (See also our video). The Intel Core i5-2410M (2x2.3 GHz) belongs to the Sandy Bridge processor generation (2011 Intel Core) and is on a Cougar Point chipset. Depending on the temperature, the CPU can go beyond its 2.9 GHz turbo rate within the framework of the Turbo 2.0 concept. The 2011 Cores can increase the clock rate beyond the defined maximum with "Dynamic Range @ Turbo Frequency Limits", provided certain temperature limits aren't surpassed. The NVIDIA GeForce GT 525M (1024 MB) is solely responsible for 3D calculations because the HD Graphics 3000 graphics chip in the processor is disabled (no hybrid graphics, no Optimus). The RAM equipment is stately 8 GB, whereas two 4096 MB modules occupy both RAM slots. With only 2.3 GHz (Turbo 2.9 GHz), the Sandy Bridge i5 processor achieves more points (3373) than the equally clocked i5-520M (2.4-2.9 GHz, ~3000 points) in single core processing in Cinebench R10 Single 32bit. An i5-480M (2.66-2.93 GHz, 3200 points), however, is almost on a par. The i5-2410M is first inferior to the i5-580M (2.66-3.33 GHz, 3550). The minor difference to the 580M of only 5 percent is remarkable. Cinebench R10 Multi (64bit) looks at multi-threading. The i5-2410M manages 8758 points in this exercise, which is just as many as an i5-580M (~8744). Consequently, the L770 has the high-end dual core computing power of 2010 available, which was only used in devices with a price tag higher than 1000 euros (e.g. Lenovo ThinkPad T410s). PCMark Vantage assessed 6323 points. A notable figure because the score is on a par with the MSI GX740 with an i7-720QM quad core CPU and Radeon HD 5870 (6225 points. i5-460M systems from 2010 achieved a maximum of up to 6000 points (Acer Aspire 3820TG-5464G75nks), unless they were equipped with an SSD. You won't have to work with a lame duck right away if you want to spend less for the Satellite Pro L770-105 version (starts at 600 euros) with an i3-2310M (500 GB HDD, 5400 rpm). However, 4600 points as in the equally configured Dell Inspiron 15R indicate a noticeably weaker performance (i3 = no Turbo Boost). 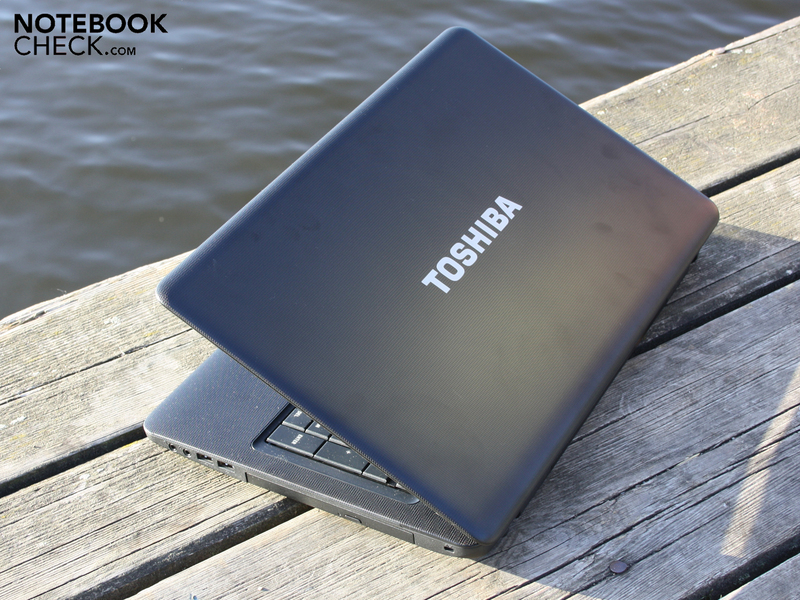 The 750 GB Toshiba hard disk contributes to PCMark Vantage's good HDD score of 3859 points (sub score). The HDD (MK7575GSX) rotates with an increased speed (7200 rpm) and is superior to standard 5400 rpm HDDs in the access rates. The disk reads with 71 MB/s in sequential read (HDTune). Crystal Disk Mark, the second test, even records 93 MB/s (write 102 MB/s). Standard 5400 rpm hard disks achieve an average of 65/75 MB/s (HDTune/CDM). Nevertheless, the hard disk solution doesn't come close to the high data throughputs and the resulting experienced fast speed of SSDs. Our test devices with an SSD achieved 14000 up to 20000 in the HDD score and about 145 MB/s in sequential read, e.g. XMG A501. The Nvidia GeForce GT 525M (1024 MB DDR3) is a dedicated midrange graphics card based on the GF108 core. It is superior to entry level GPUs (e.g. GT 520M, 64bit) due to the graphics memory's 128 bit bus. The DirectX 11 GPU is slightly inferior to a Radeon HD 6550 or a HD 6650 (+5% for the Radeon). A few games, such as StarCraft 2, run up to 16% slower on the Radeon competition, though. Synthetic benchmarks, like Unigine Heaven 2.1, show that the GT 525M has a similar performance as the HD 6550. 3DMark11 however prefers the HD 6550 (+33%). We checked what games make of these assumptions on the Satellite Pro L770 in two random tests. You shouldn't even consider a game of real-time strategy in the native resolution (1600x900). The game first runs smoothly when we select a resolution of 1360x768 and medium details. The 34 fps don't leave room for increasing the resolution. The result is surprising because the same CPU/GPU combination achieves 42 fps (medium), respectively 31 fps (high) in the Inspiron 17R (N7110). The reason: Toshiba has set the core clock to 475 MHz and Dell to 600 MHz. We again discover a performance decrease in Battlefield: Bad Company 2. 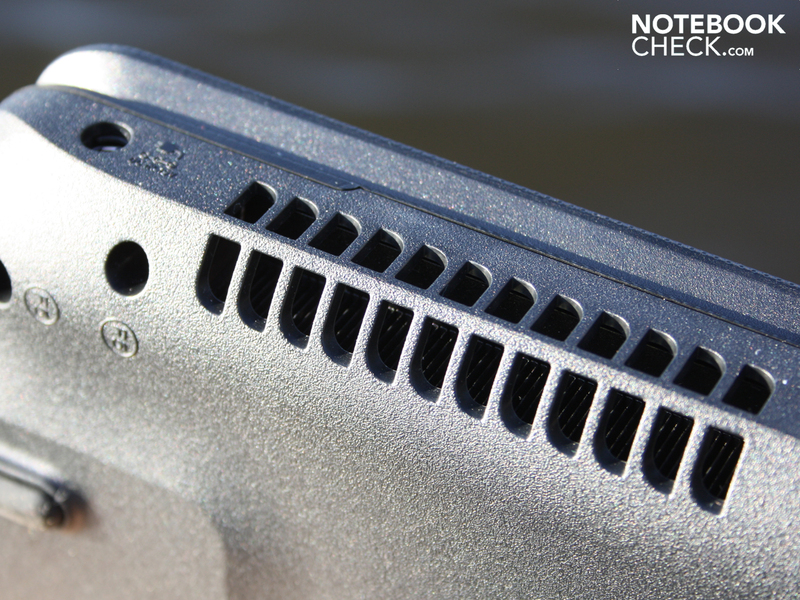 The equally configured Inspiron 17R achieves 27 fps in high and 38 in medium. Our L770 follows with 23, respectively 32 fps. Battlefield can thus only be played in medium settings. The Radeon HD 6550M laughs up its sleeve here because it is averagely faster by 33% in high (about 33%). The Geforce GT 525M is a typical midrange entry level GPU which fans of the latest games should disregard. The manufacturer's set core rate of 475 MHz (rather than e.g. 600 MHz) also prevents gaming fun. Current games can usually only be played with disabled DirectX 11 details in medium details and resolutions. Older games, such as Left 4 Dead, Trackmania Nations or World in Conflict, can however also be played in high details. Please see the Geforce GT 525M's spec sheet for more information. Ambitioned gamers with a tight budget should look around for a Radeon HD 6650M or GeForce GT 540M in the same price range. 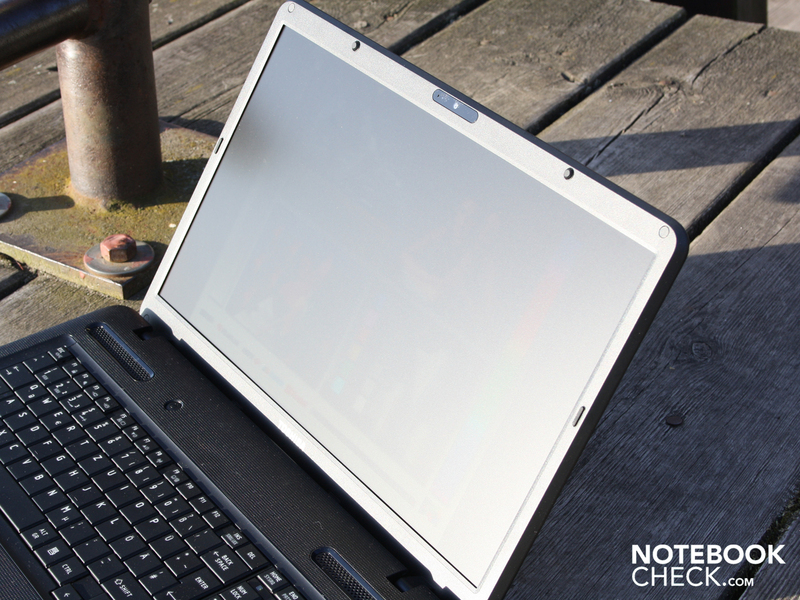 A good office laptop should stand out with low waste heat and quiet noise. No one needs to hold a little heater in their hands nowadays. 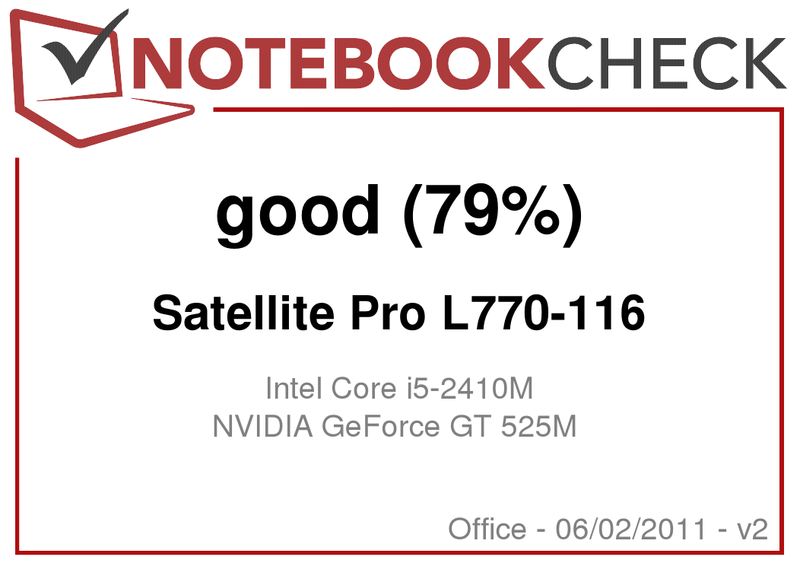 The Satellite Pro L770 doesn't have to accept reproach in this regard. The fan is never disabled while surfing or writing emails, but it remains on a very low level with about 34 dB(A). The subtle whirr of the hard disk defines the lowest level with 32.5 dB(A) in idle. The fan is quieter than the HDD's whirring even when it's active. The fan turns up to 365. dB(A) in 3D benchmarks or games. The L770 only reaches its maximum rate of 40 dB(A) in an unrealistic stress test. All four CPU threads are put under load (Prime95) and the Geforce GT 525M is processing (Furmark) in the stress test. The fan calms down extremely fast after the load is finished. It reduces its noise from 40 to 33 dB(A) within 15 seconds. The L770 behaves well in waste heat issues and only reaches 45 degrees selectively at most. The bottom's average temperature is merely 26 degrees in idle. The wrist-rest stays cool with 26 to 29 degrees. The waste heat's maximum peak on the surfaces (stress test) is 46 degrees Celsius. That sounds like a lot, but we measure these temperatures only in the fan's area on the bottom. The wrist-rest is still cool. The adapter reaches up to 50 degrees when a high effective power of 69 watts is applied. The multimeter fluctuates consistently between 54-59 watts (core voltage 0.78-1.2V, CPU 800 MHz) during the standard stress test comprised of Prime95 and Furmark. The real power consumption is constantly 59 watts (core voltage 1.23V, CPU 2.7 GHz) first when only the CPU is loaded. The power consumption always starts to swing to the abovementioned 54 watts when Furmark, for GPU load, is added. The reason: CPU throttling, like the fluctuation of core voltage and clock shows (see screenshots). Both built-in Onkyo stereo speakers are located above the keyboard's left and right. Their treble-heavy sound, without even a hint of basses, is unsuitable for music rendering. We would recommend using external speakers or high quality headphones. The lithium ion battery was fully recharged and ready for our battery tests after a charge time of about 99 minutes. We determined 3:25 hours in WLAN surfing. This runtime can be considered as impressive for a 17.3 incher with dedicated graphics in view of the battery's low capacity of 48 Wh. The DVD test doesn't last quite as long. Lord of the Rings comes to an end after 2:10 hours. We watched it with a low brightness of 100 cd/m2. The predecessor, L670 (i3-350M, IGP) achieved 2:39, respectively 2:30 hours in the same tests. It looks different when the processor is put under load. The battery is exhausted after 1:19 hours. The Satellite Pro L770's power consumption is low when the processor and/or the graphics aren't loaded. The power consumption is 11.5 watts (idle, min.) when all energy savings options are enabled in idle (minimum brightness, wireless off). A bright display and enabled wireless modules take their toll. We measure 20 watts (idle, max.) in high performance mode here. The maximum power consumption (without battery charging) is 59 watts (Prime95, solo). 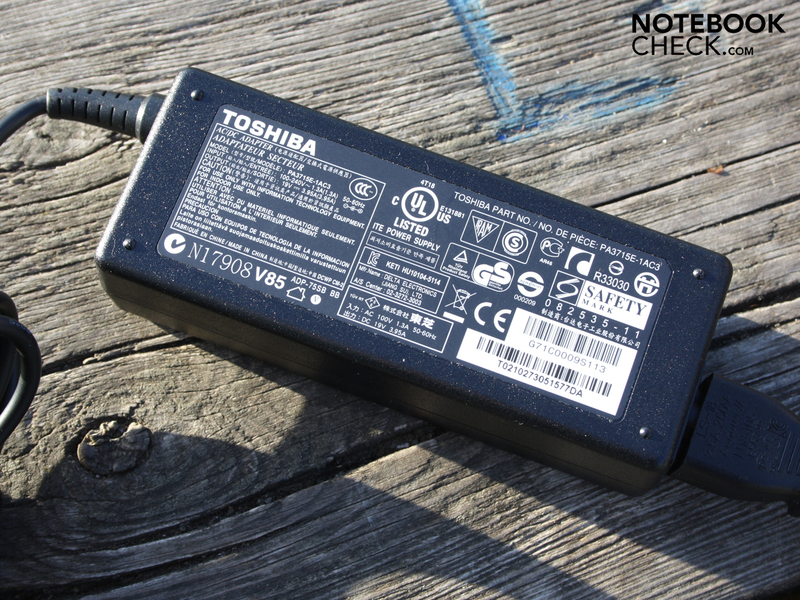 The 75 watt power adapter (306 grams) reached a maximum temperature of 50 degrees Celsius. 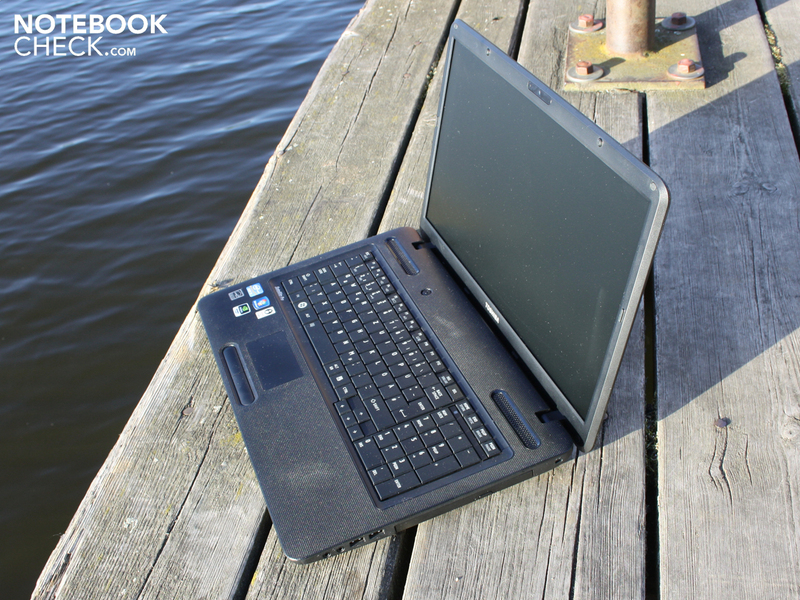 The Satellite Pro L770-116 is a versatile office device that is even suitable for excursions in the world of games. The latest Core i5-2410M (2x 2.30GHz) processor speeds up applications in connection with the fast 750 GB hard disk and the 8 GB RAM (2x 4096MB) considerably. The power bundle is rounded off by a dedicated consumer graphics, Nvidia GeForce 525M (no Optimus), which can render even current games smoothly in medium settings. The interface configuration is rather sparse, despite Bluetooth 3.0, HDMI and USB 3.0. 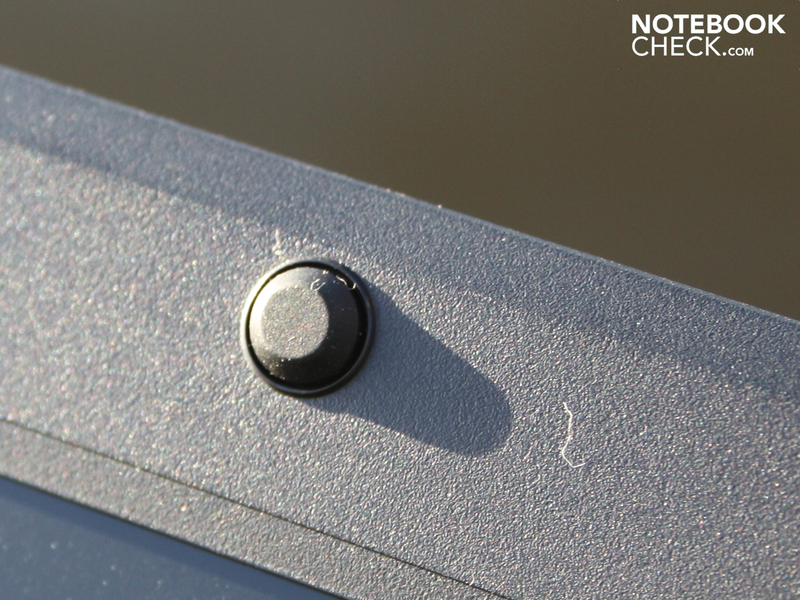 A docking port is only standard for Toshiba's Tecra and Portégé. ExpressCard and eSATA aren't installed. The sober device can't conceal the plastic looks and thus won't come in question for managers and exhibitionists. Everyone who intends to place the 17.3 incher on the desk won't often be disturbed about shortcomings in terms of stability (hinges, case). The matt WXGA++ resolution (1600x900) is of more interest. In contrast to the predecessor, L670, the manufacturer has increased the brightness. The low contrasts and narrow viewing angles have remained unchanged, though. The ergonomics are good. The waste heat is low (temperature increases only selectively palpable) with and without load and the same applies to the system noise. The input devices supply prolific typists with a clearly arranged layout and firm stroke. The mouse keys have a pleasant key drop, but make a clattery impression. 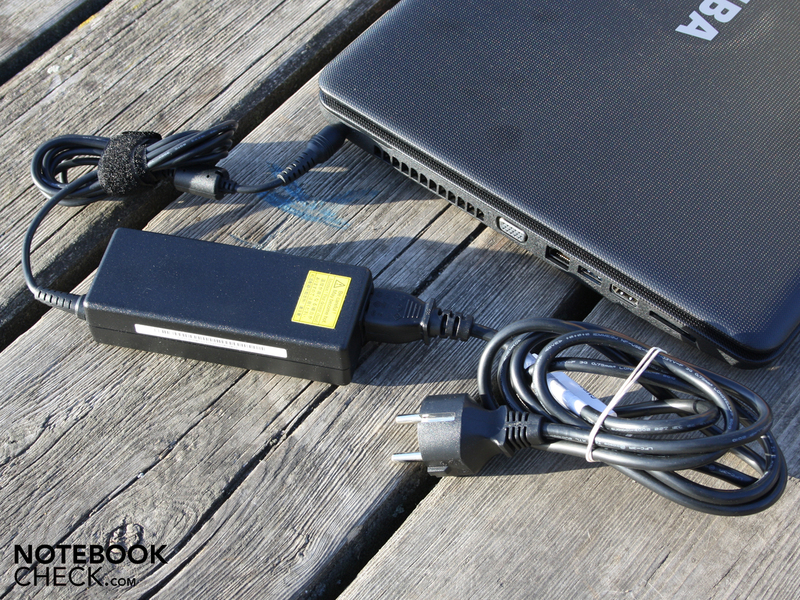 The Satellite Pro L770-116 treats energy sparingly (idle: 11.5-20 watts). This also contributes to the runtime. We determined 3:25 hours in the WLAN test. The 2.75 kilogram 17.3 incher can be used in daylight thanks to the AR coating. 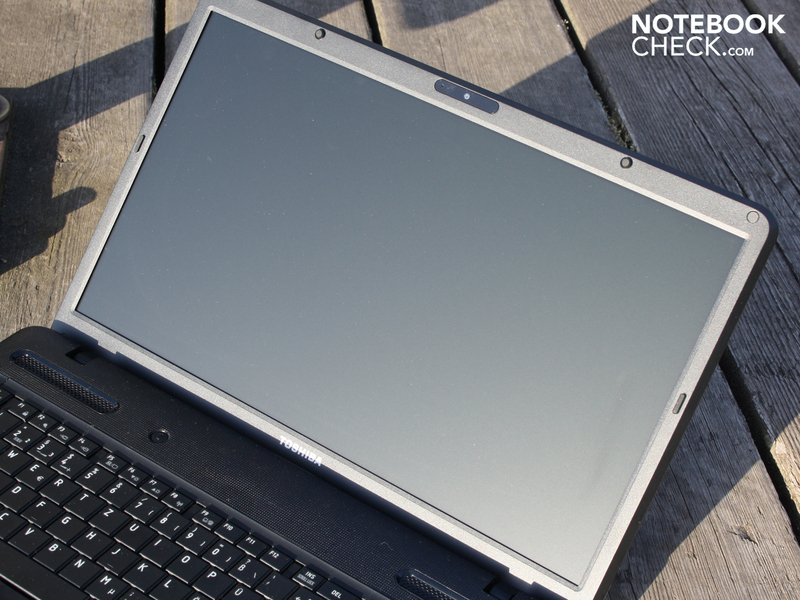 Nevertheless, direct sunlight is cause for a dark desktop due to its moderate brightness. The Satellite Pro L770-116 doesn't belong to the cheapest 17 inchers with a matt WXGA++ at a price starting at 790 euros. However, it stands out among the competition with its 8 GB RAM, the brand new i5 processor and the fast 750 GB hard disk. Alternatives would be the HP ProBook 4720s (starts at 600 euros), the Acer TravelMate 7740 (starts at 685 euros or the Dell Vostro 3700 (starts at 735 euros. 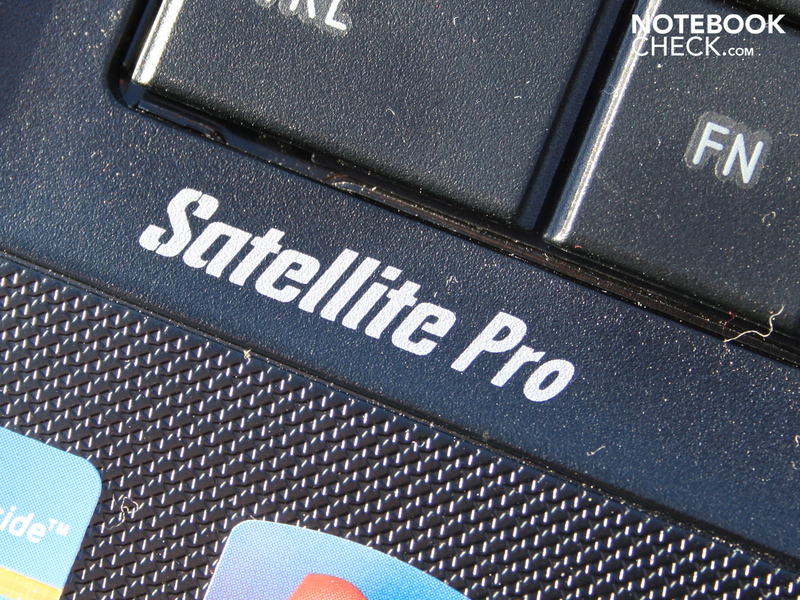 The alternative Satellite Pro L770-11W however starts at 720 euros (i5, 4GB, 640GB, no USB 3.0). The input devices are well-arranged and useable. The RAM configuration of 2x 4GB is a highlight. The fast rotating, 7200 rpm hard disk works swiftly. The 2.5 inch HDD doesn't pass any vibrations onto the case. The battery can be permanently removed in use (no feet). The capacity of 48 Wh renders up to 3:25 hours of runtime (WLAN surfing). The power adapter weighs 306 grams and renders 75 watts. The perfectly straight plug could have indeed been left out on the adapter. There are no recovery DVDs among the supplies, anymore. 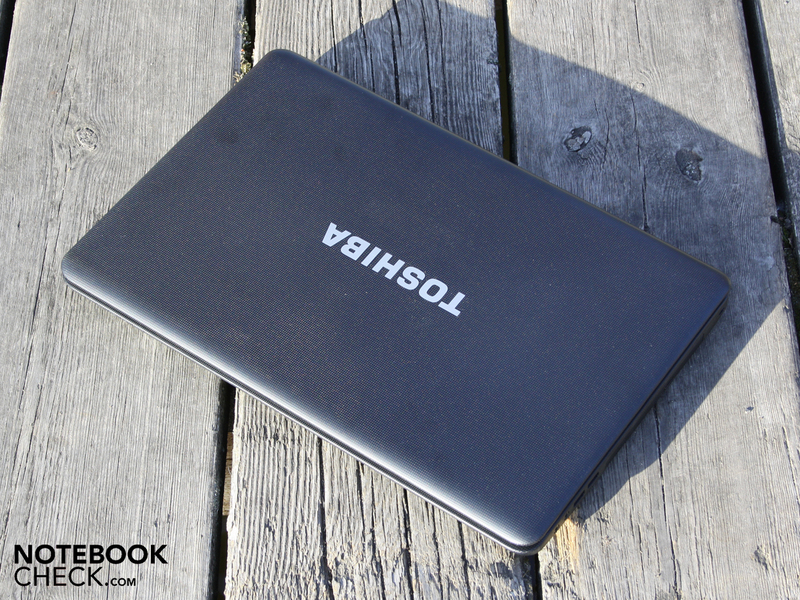 Toshiba Satellite Pro: Simple looks, but good application performance. 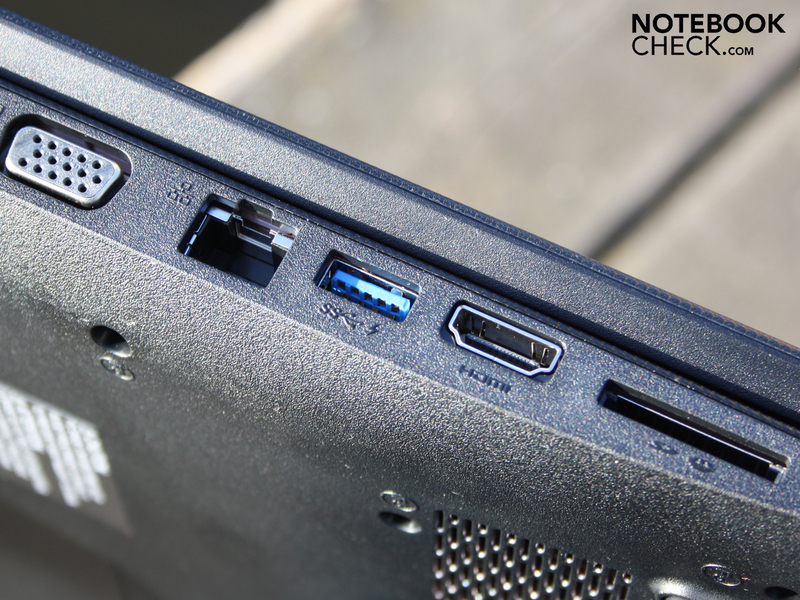 Despite USB 3.0, the interfaces show themselves as minimalistic (no docking port, no ExpressCard, no eSATA). The inconspicuous webcam has just as an inconspicuous resolution of 640x480 pixels (VGA). undemanding plastic computers do everyday work. 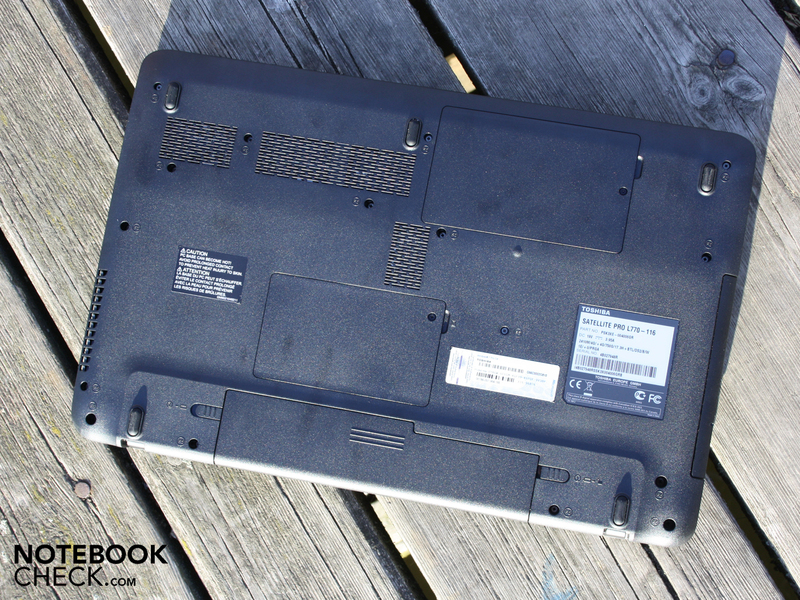 Laptops like the 17.3 inch Satellite Pro L770-116 won't be found in the limelight. There is also no press hype or blogger gossip for 779 euros, either. The reason: As in our Satellite Pro, dull plastic dominates its looks. In return, it has a matt 17.3 inch screen in WXGA++ (1600x900 pixels). 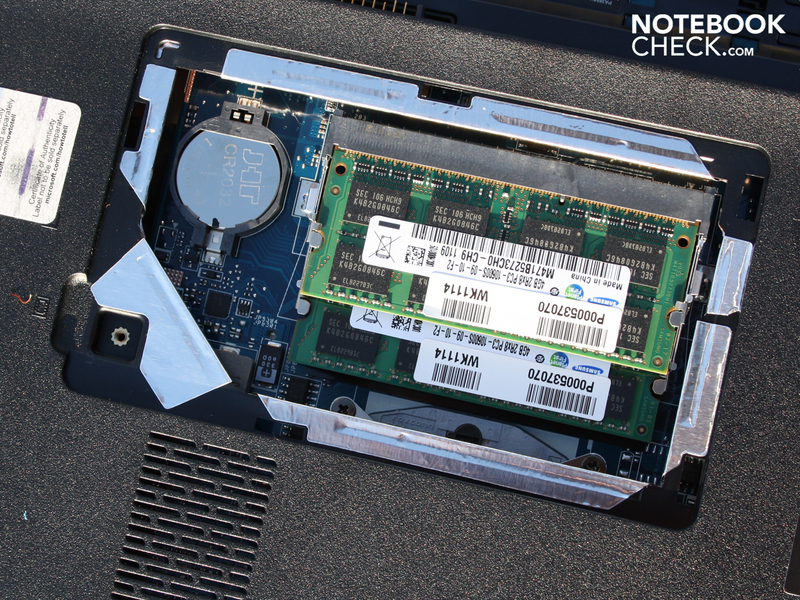 Even strong hardware is under its hood with Core i5-2410M, 8192 MB RAM, GeForce GT 525M and 7200 rpm hard disk. 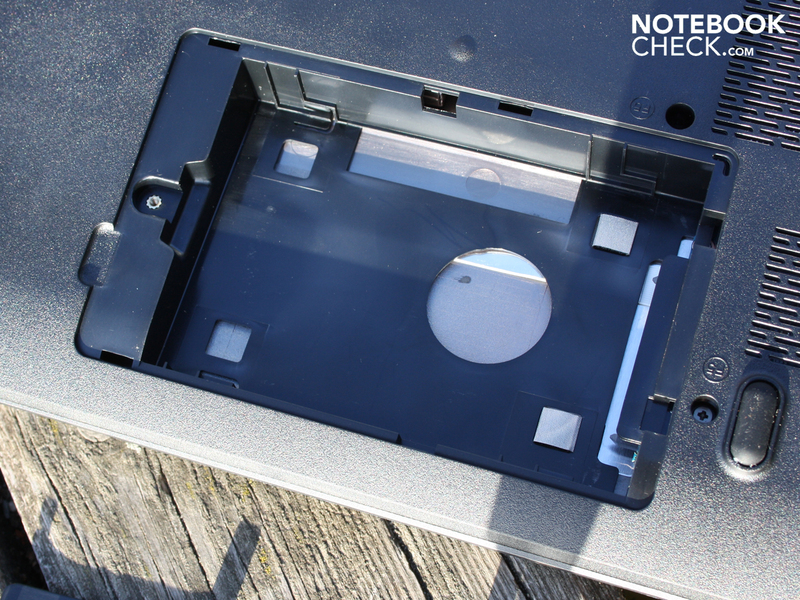 The case's stability under the optical drive isn't very satisfying (dents). The hinges make a spongy impression and appear too small for the heavy 17 inch lid. The plastic look appears dull and plain (speakers). 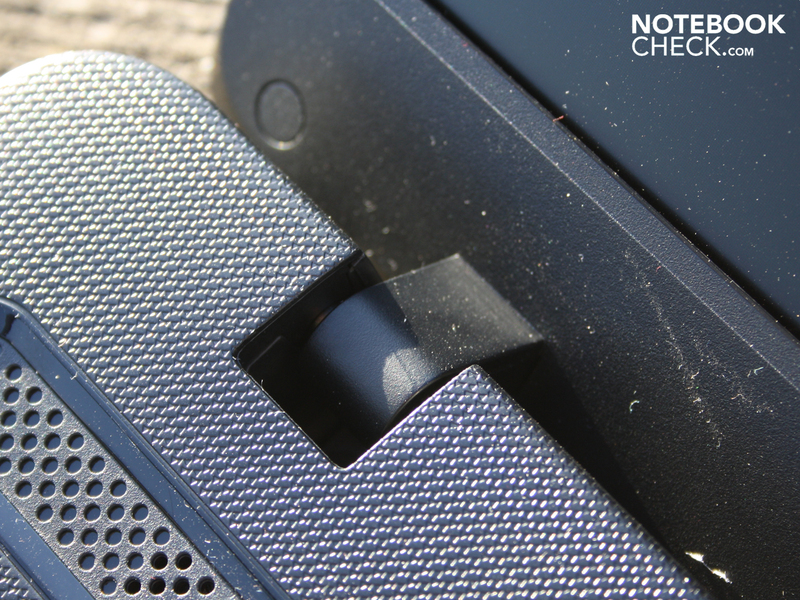 Details like this stopper are functional, but have a bulky design. More accurate keys, quiet mouse keys and connections on the rear. Better colors and viewing angles would be the topping for the matt display. 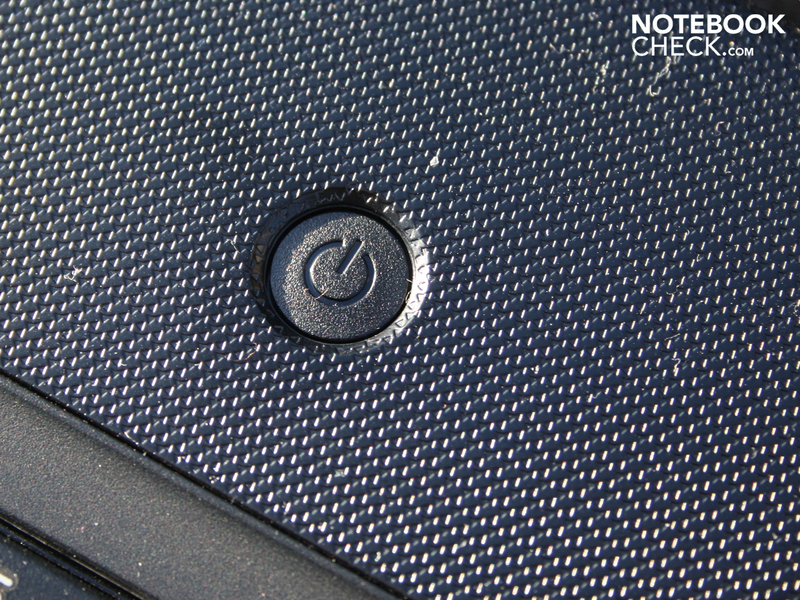 The Nvidia GT 525M makes the 17 incher suitable for consumers.